To kick off this workshop series we will start by creating a collage card for the new year. We will start by exploring the main theme and energetic quality that wants to manifest in your life in the next 12months. 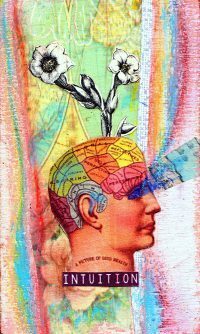 Instead of making the usual “vision board” – a technique in which you intentionally collect and glue down images of what your conscious mind wants to attract, we will use visualization and work with universal archetypes and symbols that can be found in mythology, fairytales and the Tarot, to help you access your subconscious wisdom and higher guidance. So, the question is, what does my soul need in 2019? You will then use your inuition and imagination to create a collage on a 9 x 14 cm cardboard card. (Alternatively you can work on a larger size format; all will be provided) that symbolizes your particular soul theme for the new year through color and imagery. 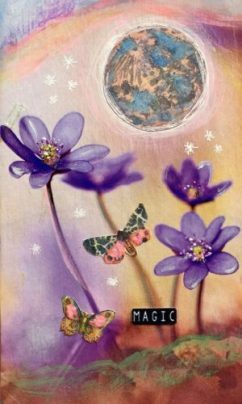 At the end of the workshop I will show you how to let your card speak it’s message of wisdom and guidance to you- messages, which of course all originate in the intuitive higher wisdom of your own subconscious mind. You will be surprised and delighted – I promise! 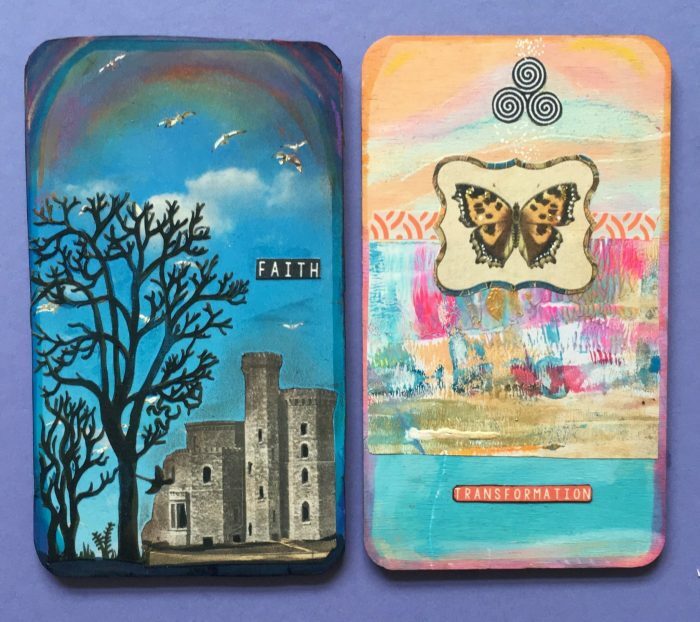 You will love using your card as a tool for meditation, contemplation and guidance throughout the year. And of course, you will enjoy looking at your own beautiful mini art work. Place it on your bedside table, or a corner in your room where you can look at and converse with it regularly. I hope you are excited about trying this fun and soulful approach to creative self-expression and self-discovery. It is not necessary to have a certain affinity for spirituality or esoteric subjects. The workshop is really more about accessing your inner intuitive wisdom and bringing it into visual form with collage. The workshop will be held in German and English depending on the language requirements of the participants.